Some mums have little crushes on movie stars and others go for Play School presenters. I totally get it. For me, it’s author and illustrator Oliver Jeffers (can’t believe I’ve just written that for the whole world… ahem, Oliver…. to see). 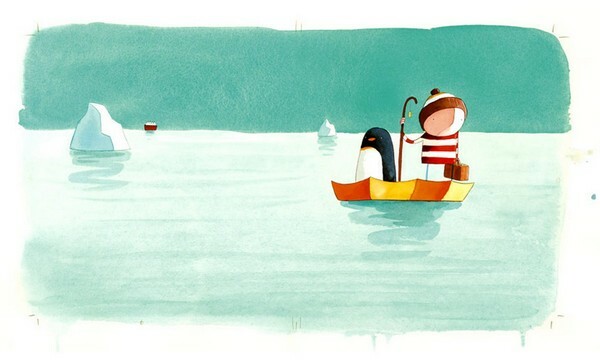 If you’d like your own bit of Mr Jeffers, check out the Oliver Jeffers Shop. It includes a range of prints from both Jeffers’ best-loved picture books through to stand-alone illustrations. His signature penguin features heavily, with prints from Lost and Found and Up and Down. My pick is the warm yellow jetty scene from How to Catch a Star, but I also love the mixed media print from The Incredible Book Eating Boy – one of my boys’ favourite stories. A Jeffers print would make an amazing gift – perfect for the nursery but something that will be treasured for a lifetime. Prints range from US$35 to US$290. 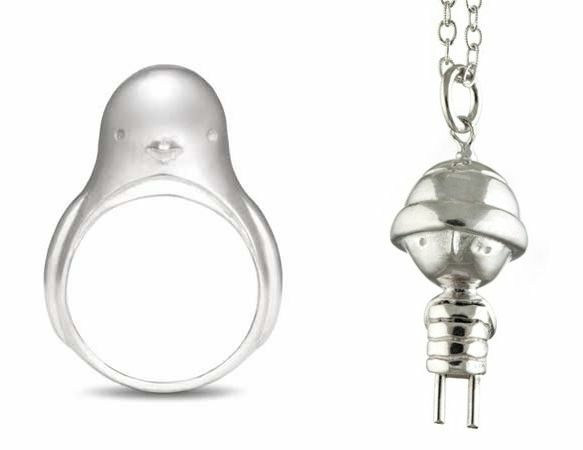 While you’re visiting the shop, be sure to have a quick look at the Oliver Jeffers jewellery. The range includes sterling silver pendants and rings using Jeffers’ trademark characters – the penguin, the boy, a heart in a bottle and more. Pieces start at US$160. 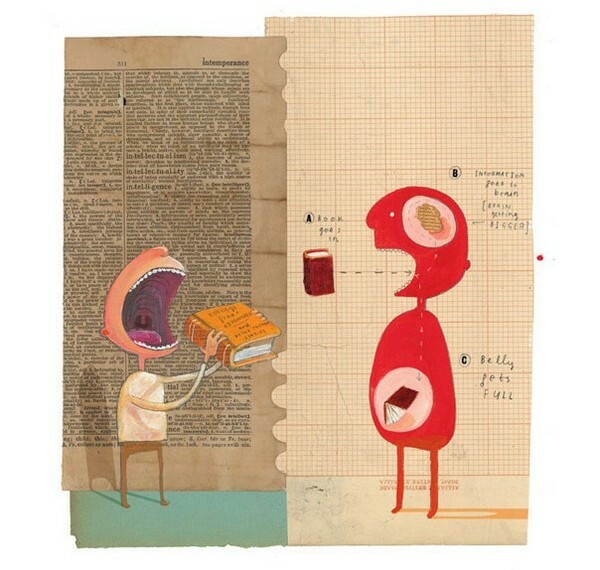 Oliver Jeffers Shop delivers to Australia. 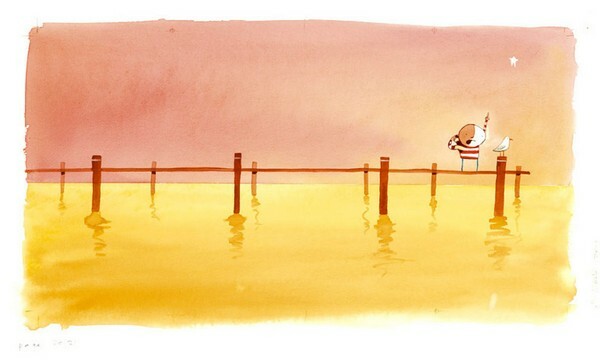 For more Oliver Jeffers, take a look at our previous posts.